Can you think of any unfortunate crypto accidents? Let us help. The Australian guy who lost $7,400 in a search engine phishing scam, this CryptoShuffler trojan that stole at least $150,000 worth of Bitcoin by using a basic scheme, or this careless man who accidentally threw away his hard drive containing bitcoins worth about $4 million at the time. Despite being different, these examples have one thing in common - cryptocurrencies may give the feeling they are secure, but they are not. In addition to perfectly polished phishing attempts, fake wallet tricks, or malicious cryptocurrency schemes, there’s always a chance of a simple human error. 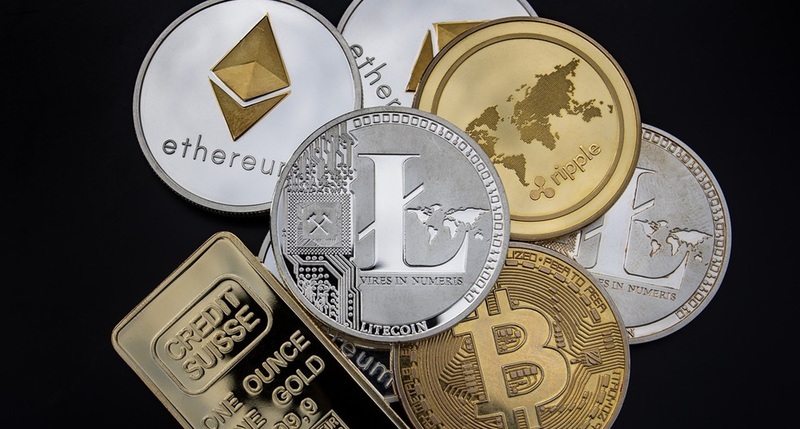 Many newcomers easily fall for the illusion of anonymity, ignoring the obvious risks associated with cryptocurrencies, which makes them easy targets for cyberthieves. Cryptocurrency hacking can happen to anyone, and sadly there’s no way to get your coins back once they get stolen by a malicious actor. So rather than losing your money, better do some research and get yourself a reliable VPN. It won’t protect you from leaving your wallet unattended but will help you secure your communications from anyone trying to intercept them. Additionally, it will help you access cryptocurrency trading platforms that may be unavailable in your country. China, Pakistan, and a number of other countries known for extensive online surveillance and censorship also tightly control cryptocurrency trading or even deny users access to such websites based on their IP addresses. This is when VPN can help - by hiding your IP address it gives you the freedom to access all the websites and services from anywhere in the world. When you connect to a remote VPN server, your actual IP address is replaced by the address of that server, which may be thousands of miles away from your real location. With your IP hidden, authorities can no longer link you to your Internet activity, nor can they see your physical location or restrict you from visiting cryptocurrency trading websites. While some regions block VPN traffic, there are a number of reliable VPNs that successfully manage to avoid detection and circumvent these blocks, allowing their users to visit cryptocurrency exchange platforms without any problems. Well trusted subscription VPNs offer hundreds of remote servers in different worldwide locations. The moment you connect to a preferred server, VPN reroutes your Internet traffic through an encrypted virtual tunnel. What it means is that no information you send or receive while connected to the VPN, can be seen by third parties, including ISPs, websites, and cybercriminals. VPN also conceals your IP address, making it difficult for snoopers to track what you do on the Internet or access any of your information linked to the blockchain records as described here. Make sure to create uncrackable passwords for all your accounts. Use only encrypted secure messengers for communication. Keep the most sensitive data in a hardware wallet. Back up your data and encrypt the wallet in case it gets stolen. Beware of phishing scams that may lure you into transferring your money to fake wallets. All these suggestions not only help you to keep your coins safe from malicious actors, but are also helpful in enhancing your online privacy in general. A reliable VPN service combined with additional security tools and safe behavior is the best way to stay private and secure on the Internet. About the author: Harold Kilpatrick is a cybersecurity consultant and a freelance blogger. He's currently working on a cybersecurity campaign to raise awareness about the threats that businesses and individuals can face online.